All You Can Meat is sold out for 31 March but the good news is it’ll be making a come back during Good Beer Week! Celebrate Good Beer Week in one of Melbourne’s most picturesque locations alongside the best brewers in the business – Pirate Life Brewing (SA), Brewmanity Beer Co. (VIC), Shifty Lizard Brewing Co. (SA), Hop Nation Brewing Co. (VIC) and Hawkers Beer (VIC). All You Can Meat is back and this year we’re doubling up with TWO awesome events over TWO days, featuring Brewmanity, Shifty Lizard and Pirate Life on Saturday 11 May and Hop Nation, Hawkers Beer and Pirate Life on Sunday 12 May. 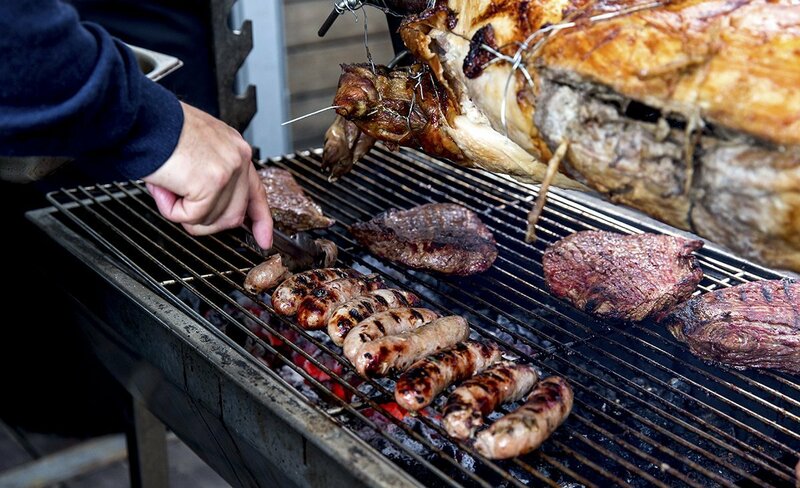 For just $35 a person, an assortment of delicious cured artisan small goods kick off every event, followed by juicy flank steaks, mouth-watering beef ribs and flavour-packed Lancashire & Cumberland sausages. And of course the hero of every All You Can Meat event, the whole suckling pig cooked on a charcoal spit. Vegetarians don’t despair, as there will be a range of delicious and hearty salads. Meet the brewers, get amongst their tasty brews and enjoy live music on the banks of the Yarra. Please note: All you can eat meat will be served between 1pm & 4pm.